My heart always breaks when I hear of friends and clients that are going through a divorce. One thing is for sure, it’s one of those onions where the layers of complexity and hurt keep coming. But there is one element, money that is like a cancer pervading each layer of the onion. That’s money. 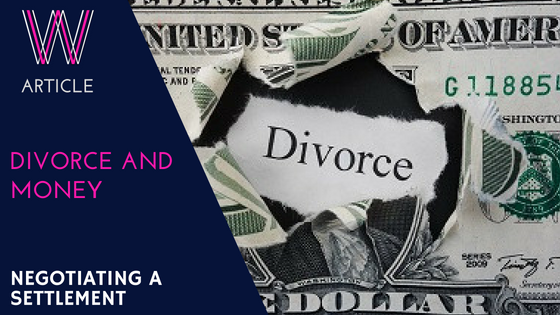 So understanding how to separate money and the other elements of divorce is a crucial strategy to being able to survive it. The major reason money permeates everything is that money is often an expression of who we are and what is going on in the relationship. In my financial advisory business, I have seen money used when there are control issues. One partner seeks to control the other partner and uses money as the tool for control. Or if someone feels out of control of their life (either work, health issues etc), they will often become ultra controlling of the money in a relationship. It expresses the fear they feel inside. Many times money is used in a divorce as a weapon to manipulate the other person into doing things. In particular when it comes to the children, maintenance and access rights. If you have children, you are with him forever. If they are young, it’s not only every hand-over, but school plays, health issues, major decisions on education matters and sports matches. If they are older, it’s weddings, births and the grandchildren’s school plays, sports matches and birthday parties. No one wins in a divorce – everyone loses. So don’t go into the negotiations with a mindset of you winning and him losing. Because even if you do ‘win’ and he loses, he will know and resent you for it for a long time. There are better and worse outcomes, but this is a challenging process. It’s constantly evolving. I see divorces where the parents don’t speak to each other for two years, but end up great co-parents and even friends. And I’ve seen divorces where they start off as the world’s most perfect co-parents and 2 years later are warring in front of the kids. It’s going to take time, effort and emotional discipline. It’s crucial that you get the best settlement. So it’s one of those periods in life where you need to dig deep and do the work. The practical work to make sure you understand everything and are armed with as many facts as possible. And when you feel like giving up, you’re going to need the emotional discipline to talk yourself into doing what you need to do. Negotiate with facts, acknowledge emotions. It’s crucial to acknowledge each person’s feelings. But in the matter of a negotiation, facts are king. If dealing with numbers, evidence and analytical arguments aren’t your thing, you can’t just hide. You need to dig deep and find support from an adviser that can make sure you have the tools you need. Collect Information as early as possible – if you haven’t been involved in the finances, start collecting as much financial information as possible from the first time you consider or suspect a divorce is on the horizon. The person with the most information and evidence often wins a negotiation. Track every cent spent for as long as possible – you need to have a clear understanding of what it takes financially to support your life. Many expenses are one offs and may not show up in a single month, but these add up. Track your mileage with the children so you are clear what your fuel costs will be. Again, the more information you have, the clearer and less emotional you can be when it comes to negotiating monthly living allowances. Understand your legal rights – it amazes me how often people don’t understand how much they are legally entitled to. There are two major sets of law that affect you – the national law that governs marriage and the family, and then the contractual law that underpins the marriage contract you signed. Find out about both – even if you pay a lawyer for an hour’s session, make sure you are well informed. This should be your starting position that helps frame your thinking. It also removes emotive conversations such as ‘fair’, ‘greedy’, ‘worth’, ‘enough’, and a debate on the relative value of each partner’s ‘contribution’ to the marriage. If you are married in Community of Property (COP), everything that hasn’t been specifically excluded in the marriage contract is shared 50:50. Everything. Including his company. And if you’re married with an Anti Nuptial Contract (ANC), it will state what happens to the assets on divorce or death. In South Africa, the Accrual process means that EVERYTHING since the start of the marriage is to be shared, besides assets excluded in the contract. Write down your Best Case, BATNA and WATNA – your best case negotiated agreement, Best Alternative To A Negotiated Agreement (BATNA), and your Worst Alternative To a Negotiated Agreement (WATNA). This gives you a clear set of parameters and equips you to articulate best alternatives to your desired position. For example – full custody, only every second weekend visitation rights may be your best case. And your BATNA may be a Thurday after school to Monday morning or Sunday night. It also enables you to focus on what’s important, and not get side tracked on the little things. Understand your ex’s Best Case, BATNA and WATNA – doing this for him may also give you insight into what potential trade offs you can offer him. Keep asking yourself the 5 Whys – it’s a technique I think is crucial to keeping each of us honest with ourselves – and very important in working out what you’re really trying to negotiate. Start with the 3 lists above. For each item, ask yourself Why do you want that outcome. And then keep asking Why? or What more? until you’ve done 5 repeats. The discipline of this often distinguishes between good reasons and real reasons. For example, I want primary custody of the children. Why do you want it? Because I think I’m a better parent. Why? Because he is unreliable. Why do you say that? Because he never does the adult stuff like make them do their homework or eat their vegetables. Why does that make him a worse parent? Because it puts pressure on me to make sure it’s all done and kids need vegetables… and so it goes. But even in that example, you can see that there are at least further negotiating options. If he gets increased days, you can ensure that he commits to doing homework and feeding them properly. Make sure you try and uncover his 5 Why’s for his ideal solution as you could uncover gems that may help you achieve a win-win. Remember that ideal is not a win-win. It’s a win-win-win if there are children involved. You need to understand your children’s BATNA’s and WATNA’s, and their best case too. And in negotiating, make sure that you both negotiate their position in addition to your own. You may both be fine with only alternate weekend visitation – but if the kids’ best case is one week on one week off, you may need to make him or yourself step up and make the compromises that enable that. When it comes to splitting assets, keep practicality and emotional attachments in mind. You don’t need to cash out everything and split it in half. By understanding the value of each asset, you can each keep assets that you are attached to. Often partners have opposite thinking styles – one prefers shares and non tangible investments, and the other prefers the physical rental property’s. You don’t need to have half of both – one of you can keep the property and the other the investments. However, don’t let emotional attachment to assets make you irrational in your negotiations. Don’t forget fees and taxes – when looking at the values of your assets, you may incur capital gains tax and other costs to sell an asset to split the cash. Make sure these are all included in your calculations and only then look to balance the distribution of assets. Understand the total cost of ownership. Keeping a house requires you to be able to afford the utility bills and monthly taxes on it as well as insurance and maintenance. Whilst that may have been okay when your finances were shared, it may just cripple you financially afterwards. So before you insist on staying there, be clear as to what it will cost to keep on owning it. Make sure you take inflation into consideration. Things won’t cost the same in 5 years time as they do today. In fact, if the inflation rate of your country is 6%, then in 12 years your costs will have doubled. If it’s 3% then that number’s 24 years. So make sure there’s a clause that any sum of money paid is increased by inflation each year. Don’t forget your retirement provision. It’s essential that all investments toward retirement are split. It’s not enough to have the immediate needs split – you need to understand the long term needs. If in the settlement he keeps the retirement policies and you get the house, you need to be disciplined to downsize and release the capital you need to put towards your retirement. Insure your ex and provide for your obligations. As part of the settlement make sure that you agree to get life insurance on your spouse for the value of the maintenance. If he dies in 2 years time, you may struggle to keep your children in school. Similarly, understand that if you are providing maintenance for your ex, your estate will have to honour that obligation and your ex can claim that lump sum from your estate. Like other debts, it will get settled before bequests. So make sure that you have life insurance adequate to cover that particular debt, and preferably a separate policy that will go straight to your ex so your current partner doesn’t have to give ‘her money’ away! And don’t forget to change your will. Mediated settlements are usually better than court settlements. Mostly because the person that wins financially is the lawyer, not either of you. And those costs come from your joint settlement. Sometimes it’s necessary. But if you can, stay away from it. Listen to my podcast interview with a retired divorce judge, and you’ll appreciate the significance of this point. Get help from a financial adviser to ensure you understand the current and future plan you need in order to protect yourself and your children. This is not an easy phase of your life. Hunker down and protect yourself emotionally and financially so that you can move on to live your best life possible.